From Chihuahua to Colorado. A Project by Metztli Ruiz-Jaquez for Latino Roots and Transition. Spring 2013. 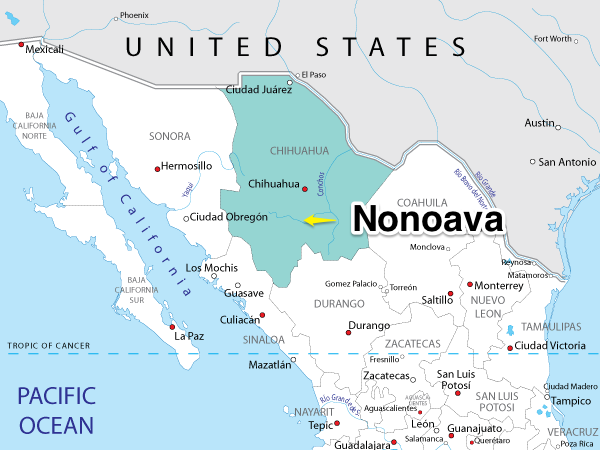 I was born the third of eight children to a modest family in Nonoava, Chihuahua in 1974. My father was a farmer and my mother was a stay-at-home mom. She took care of my siblings and I. It is thanks to her, my father, and my siblings that I have several beautiful recollections of Nonoava while growing up. I will never forget those wonderful experiences. Life in Nonoava was extremely beautiful. Since it is a small town, everybody knows each other, making our community very closely knit. I recall how the children would go outside and play together as their parents chatted about the latest news. At end of the week, everyone would go to mass. We would all gather as was the custom. 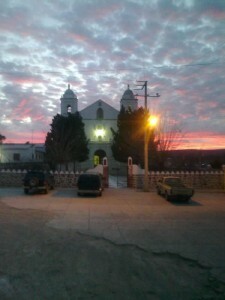 In Nonoava, I received my baptism, first communion, and confirmation. For teenagers, there would be extra talks at Church, and I would always go. I was essentially always in catechism. Every year had its own phases and so did every season. For instance, in winter, I would go to school in the morning, come back home in the afternoon and look for something fun to do at home since it was very cold outside. 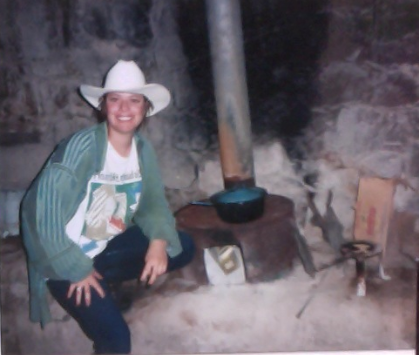 We had a firewood stove, and my siblings and I would gather around it because it was very warm. In order to not waste the heat, my mom would sometimes bake bread, tortillas, biscochos, empanadas, and small pastries. Whenever I could, I would go and sell them to make some extra money. But, that’s what we mainly did during winter to stay warm since at that time, heaters did not exist. All the warmth we got came from our clothes and the fire stove. Things greatly changed during the spring. As the temperature got warmer, my siblings and I did not spend as much time at home. After school, we would go home, finish our homework, and go outside to play with the neighbors’ kids. We played so many games that are essentially rare nowadays. Games from back then were much funner: children would play with el trompo, la llanta, las canicas, and simple things like that. We would also play las comadritas, la roña, and los encantados. We even played baseball and soccer, but we couldn’t play soccer often because it was hard to get soccer balls. We would sometimes find some kind of ball and try to play soccer with it, but it usually did not work out. Regardless, we preferred playing baseball since it required a lot of running, which was always very fun. That’s how we would spend our spring, summer, and fall. 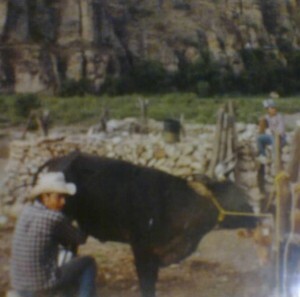 When el tiempo de las aguas (rainy season) came during June and July, I would go help my dad in the fields and cultivate frijol y maíz (beans and corn). Every now and then, we would cultivate watermelon or pumpkins to have some kind of fruit. I would do this in the morning since there was no school, and I would play with the kids in my neighborhood until the evening. We would go to the river and bathe, jump on the rocks or over puddles– those were always my favorite activities. Then, with fall came harvesting season. We would go reap the frijol y maíz that had grown. With October came dairy season. We would go milk the cows since in that general season the cows had their little calves. I really enjoyed this season because I got the chance to make cheese and butter. My family was always together until 1985 when we were all separated. My dad thought that it would be better to take us somewhere we could have better schooling. 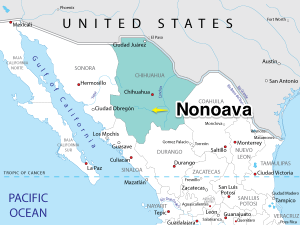 My mom, several of my siblings and I went to Aldama while my dad stayed in Nonoava to take care of the crops. From that point onwards, we have never been fully united again.